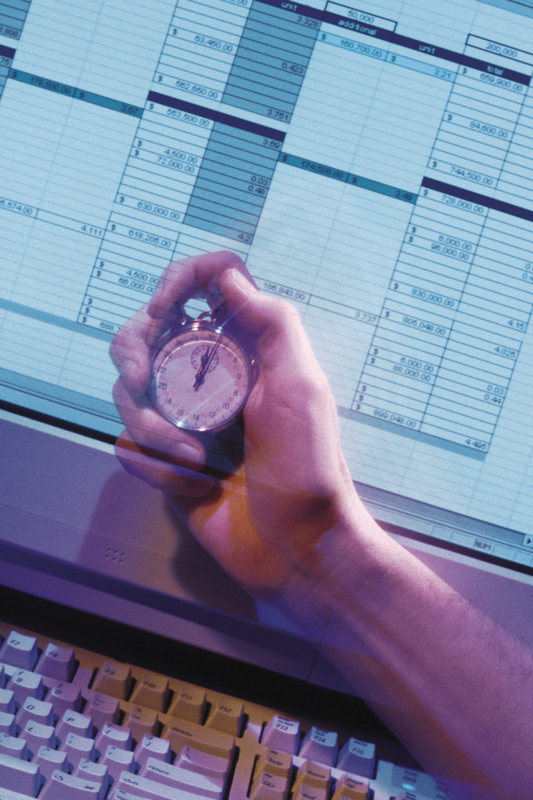 One of the most important functions of any business is to properly track the time of its employees. On one hand, we need to track how much labor is used to serve our clients. On the other hand, we need to track how many hours each employee should be paid for in a given time period. The most important piece of this process is to keep an accurate track of time. 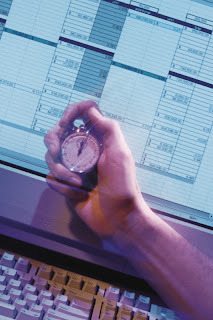 We addressed Daily Time Management and Time Tracking for Employees already. And, of course, we've discussed Working in Real Time. This is a sample policy for Time Sheet Submission and Approval. The first part is for technicians. The second is for the service manager or whoever approves time cards. Of course we don't use time cards. We use our PSA system because it tracks everything we need on both the client and employee sides. But as with any other tool, you can only get out of it what you put into it. So proper time sheet submission is critical. Perform each of the following steps each day on that day's entries before submitting your Time Sheet. - Verify all the day's time entries are contiguous from 8:00am to 5:00pm. No gaps. No overlaps. - - Scan down the Start/Stop times and verify each end time coincides with the next entries start time. Fill in all missing time slots. - - Verify each time entry starts and ends on a quarter hour marks. - - Verify there are no gaps in time entries. - - Verify there are no overlaps in time entries. - Verify all entries involving Travel are correctly noted, have the correct Work Type and are Billed out as No Charge. - - Scan down the Charge To column and look for notes indicating Travel. Verify the Type/Role column entry coincides (Local or Out of Town) and the Bill column indicated No Charge. - Verify all entries have the correct Work Type. - - These are your time entries and no one knows better than you whether you where on Site or Remote so double check each entry and correct all those that have been mis-marked. Note: This is very important because the client is billed according to their On Site or Remote hour minimums. - Verify all Personal and Vacation time entries have been correctly offset by a matching Deducted entry. - - Scan the Charge To column for Personal or Vacation entries. Verify the Type/Role column indicates Personal. - - For each Personal and Vacation entry verify that the time is zero hours. If it is not, change the Deduct field in the time entry to completely offset the hours entered. - Verify there is a lunch break entry every day and the time has been correctly offset using the deduct field. - - For each day there is not a specific Lunch break (Personal) time entry, find the time entry that overlaps the lunch break and verify the Deduct field entry completely offsets the time taken for that day's lunch break. - Make all final revisions on time entries that you know need to be updated with tech, internal or billing notes. - - Review all Time Entries and verify that the main Note section has sufficient information to support the time spent on that task. Update notes as needed to justify the time spent beyond what was estimated or is reasonable for the task. - - Verify that the Internal Notes section has sufficient information to support either 1) Why we should bill the client for this time (e.g., task not covered under Managed Services) or 2) Why we should Not bill the client. (Rework, Too much time on task, etc.). - Submit Time Sheet for approval. If your Time Sheet is rejected review and correct each entry as noted in the email received from your supervisor. - Follow all the steps outlined in the Time Sheet Submission section above in reviewing Time Sheets. Reject all incorrect or incomplete entries. Use descriptive notes to ensure the entry is corrected the first time by the technician. - Note: You must reject each time entry individually and then reject the time sheet as a whole. - Reject the Time Sheet and include any additional notes in the notice that will be sent to the technician. Obviously, the specifics of this process will be different on different PSA systems, but the general outline is the same. You are looking for accurate time that is properly applied. As you can imagine, all of this is very easy if the technicians enter their time at the completion of each ticket (that is: they work in real time). When technicians try to fill out time cards at the end of the day, it takes longer and almost guarantees inaccuracies. That leads to rejected time cards and additional "administrative" time spent on the time card process. This process should be fine-tuned for your environment. They you will need to write it up and distribute it to all employees. In addition, you may need to do some training if you have not been keeping track of time in this manner before. You should make the training on this process part of your employee on-boarding process.